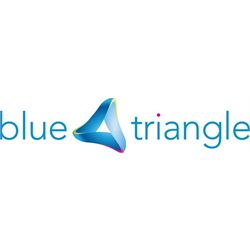 Blue Triangle exists to support, accommodate and assist vulnerable people to achieve better lives. The post will involve three/four rota shifts per week. In return, we’ll offer you excellent learning and development opportunities, competitive annual leave entitlement, pension scheme, access to employee assistance programmes such as counselling, and life assurance. The post will involve two/three rota shifts per week. Renfrew project delivers housing support to service users 21 years and over within a residential setting and a support/housing assistant model. There are 17 flats split across 2 buildings in close location to each other. The service is staffed 24 hours a day by housing assistants. Support is on a needs led basis while at the project and can be delivered for up to 8 weeks after service user’s move to their own tenancies. • Independent Living Skills; Cooking, budgeting, benefits, cleaning, dealing with forms, reporting repairs and paying rent. • Personal Issues; Sexual health, relationships, substance awareness, physical & mental health. • Occupation of Time; Education, training, employment, leisure activities, outward bound. This service’s main aim is to support tenancy sustainment and to reduce repeat homelessness. The successful applicant will be responsible for supporting service user’s at the project then moving them into their own tenancy and helping to sustain these. **Please note that the Association is currently conducting a major job evaluation exercise and that all salaries are subject to change following negotiation with our recognised trade union. You will have an HNC or SVQ3 qualification in social care, although consideration may be given to exceptional candidates who are not qualified to that level. Other essentials include: experience of working with vulnerable people, addiction issues and challenging behaviour; effective written and verbal communication; knowledge of homelessness issues; and, above all, the determination to make a difference in the lives of our service users. ** Please note that the Association is currently conducting a major job evaluation exercise and that all salaries are subject to change following negotiation with our recognised trade union. We are looking for an enthusiastic individual with the right values to join our service assisting and supporting vulnerable homeless people to achieve better lives. We are looking for an enthusiastic individual with the right values to join our service in Hamilton to assist and support vulnerable homeless people to achieve better lives. The post will involve 4 rota shifts per week. Typical shift pattern is a mixture of early, mid and late shifts. An exciting opportunity has arisen for a Digital Transformation Manager to join our established and successful team based at our Head Office in Glasgow. This role combines a digital change agenda that will enable our 300+ staff to work smarter and more efficiently with overall management responsibility for delivering a reliable, highly available and secure IT infrastructure that will meet legal compliance requirements. The Association has 20 project sites across Scotland offering services to enable excluded homeless people to develop the self-confidence and the skills required to live independently. You will be expected to lead, plan, commission and deliver the Association’s new IT infrastructure and to ensure that its IT systems, processes and procedures support the delivery of the Association’s strategic objectives and business/digital transformation agenda. You will work collaboratively with managers to drive forward the digital change agenda and will integrate all legal compliance requirements in terms of data protection, GDPR and information and records management. Other important elements will include upskilling staff in terms of confidence and abilities, being responsible for electronic data security/integrity (office based and mobile working) and developing a robust business continuity plan for digital services. In return, we can offer a varied and challenging workload and a wide degree of autonomy. We also offer generous annual leave entitlement, a contributory pension scheme, life assurance and an employee assistance programme. We are looking for an enthusiastic individual with the right values to support our Project Manager to manage our service assisting and supporting vulnerable homeless people to achieve better lives. The successful candidate will assist the Project Manager in the responsibility for both delivery and management of the Association’s North High Street service which is based in Musselburgh East Lothian. You will assist in the management of a team of Project Workers; take appropriate responsibility for the accommodation – 7 service users in supported accommodation and support young vulnerable people experiencing homelessness. The staff team is responsible for providing a high quality support service to service users, encouraging them to build their skills and confidence. You will be required to work shifts as determined by the operational requirements of the project. The successful candidate will be expected to provide a meaningful support service to identified individuals who live in the project and/or in the community. You will provide a quality service tailored to the assessed needs of each individual by identifying, planning and facilitating support to enable appropriate move-on options for each service user. You will use all of your knowledge and experience to help service users build their life skills and prepare for independent living. The candidate will also support the Manager in the day to day running of two services, mainly based at Musselburgh North High Street project, and covering some shifts in our Port Seton project. · Clear organisational and time management skills. You will be required to work on the rota, which will include back and weekend shifts, for part of the working week. 3/4 night shifts per week from 21:00 – 05:00 on a rolling rota basis. We are looking for two enthusiastic individuals with the right values to join our service assisting and supporting vulnerable homeless people to achieve better lives. The successful candidates will be expected to provide a meaningful support service to identified individuals who live in the project and/or in the community. You will provide a quality service tailored to the assessed needs of each individual by identifying, planning and facilitating support to enable appropriate move-on options for each service user. You will use all of your knowledge and experience to help service users build their life skills and prepare for independent living. The post will involve five shifts over a four week rolling rota. The successful candidate will be expected to provide a meaningful support service to identified individuals who live in the project. You will provide a quality service tailored to the assessed needs of each individual by identifying, planning and facilitating support to enable appropriate move-on options for each service user. You will use all of your knowledge and experience to help service users build their life skills and prepare for independent living. 2 x 8 hour shifts over 7 days on a 4 week rolling rota. We are looking for relief workers to cover night shifts on weekdays and weekends. We provide accommodation and support to adults who are homeless and moving on from homeless accommodation. · Do you have the motivation to undertake this role? · Are you a people person who wants to help homeless people improve their lives? · Do you see yourself working in the social care sector? An exciting opportunity has arisen for a confident and enthusiastic L&D professional to drive our learning and development activities in line with our overall strategy. Reporting to the HR Manager, you will develop and promote a culture of learning and coaching across the organisation to allow staff to develop the right skills. This post will give you a real chance to shape new ways of learning and to implement them in order to contribute to the success of the organisation. You will have the appropriate experience and/or qualifications to allow you to contribute to the continuous improvement of the organisation. It is essential that you have detailed understanding of the training needs of an organisation such as ours, the SVQ qualifications framework and the Scottish Social Services Council. You will have a proven track record in delivering training, producing learning and development frameworks and devising different methods of learning and development. In return, we can offer a varied and challenging workload, development opportunities and a good degree of autonomy. We also offer generous annual leave, a contributory pension scheme, life assurance and an employee assistance programme. · Staff leadership and management. The post will involve three shifts over a four week rolling rota. The project is part of a 3 site service. Portwell, Hamilton, provides support for Homeless People and care experienced young people. The site consist of 12 Beds (6x 1 Bed Self-Contained Flats and 6 x Bedsits). Half of the accommodation is supported accommodation and half is first stop emergency accommodation taking referrals 24 hrs per day. The project is part of a 3 site service. The Blantyre site provides supported accommodation for individuals aged 16+ who are homeless young people/adults and care experienced young people. It consists of 11 beds (6 x 1 bed self-contained flats and 5 x bedsits). The post will involve 2 rota shifts per week and every 4th week there will be a 3rd shift. Typical shift pattern is a mixture of early, mid and late shifts. The service accommodates and supports people aged 16 and over who are homeless. Typical length of shifts are 10 hours from 22:00 – 08:00 or 21:00 - 05:00, including weekends. Housing Assistants manage the accommodated buildings 24/7 and provide a contact point for people who may need some assistance or guidance where required, this involves lone working. The service accommodates and supports for people aged 16 and over who are experienced homelessness. Typical shifts 7.5 hours over a three week rolling rota, which includes weekends. Housing Assistants manage the accommodated buildings 24/7 and provide a contact point for young people who may need some assistance or guidance where required, this involves lone working. The post will involve 4 – 5 rota shifts per week. The post will involve 4 rota shifts per week.